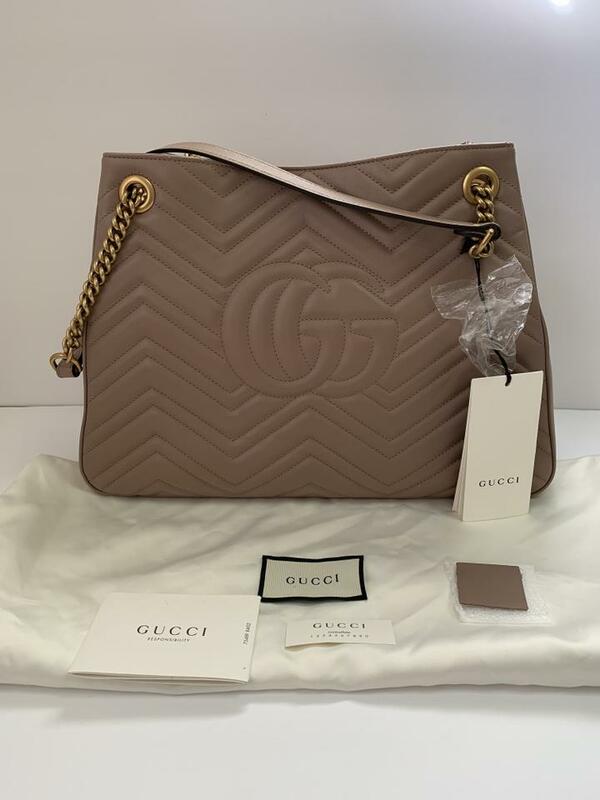 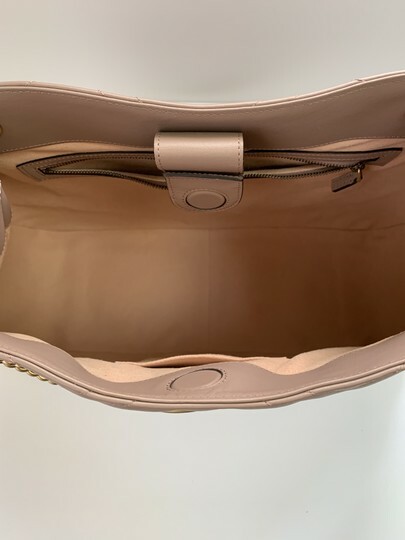 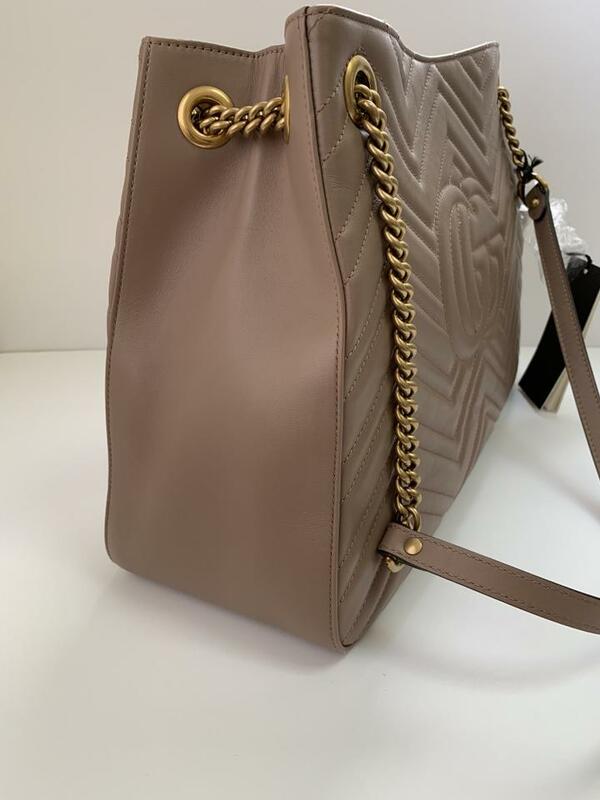 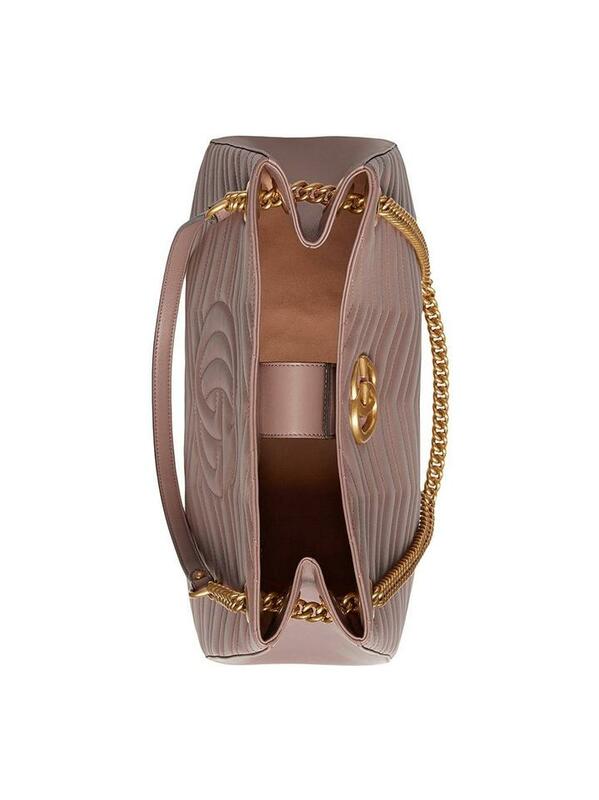 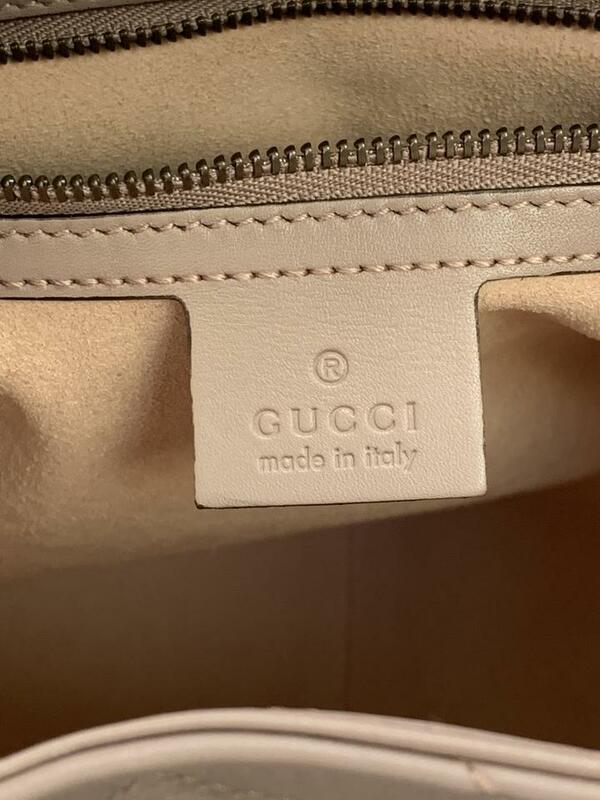 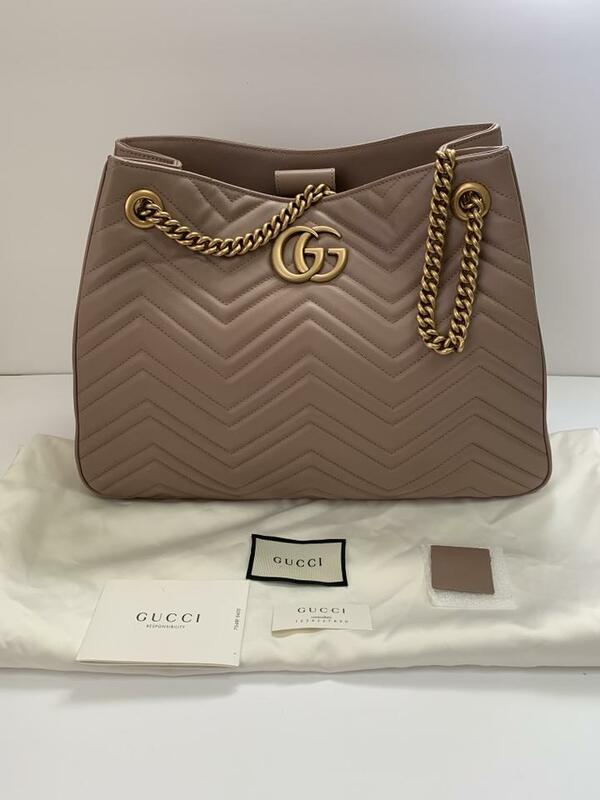 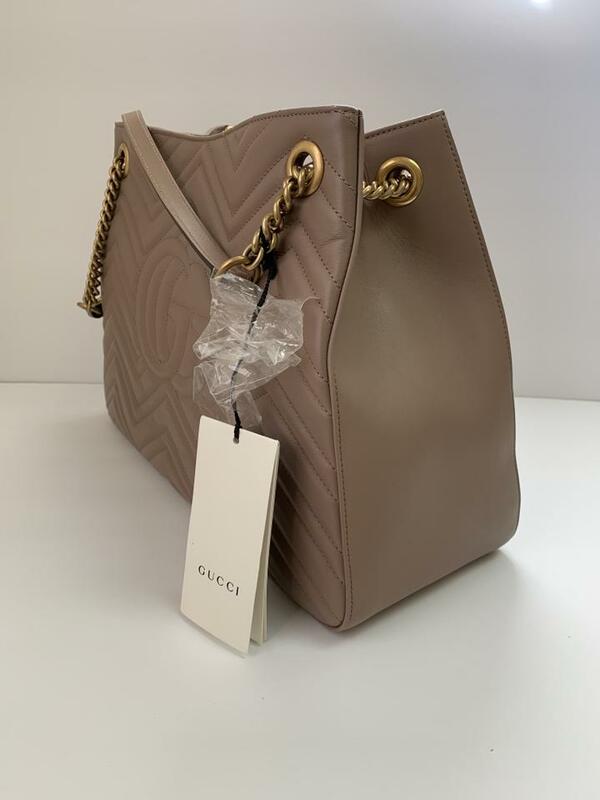 **Sold Out in Gucci Boutiques** Brand New Gucci medium GG Marmont chain shoulder bag. Softly structured shape with Double G hardware. 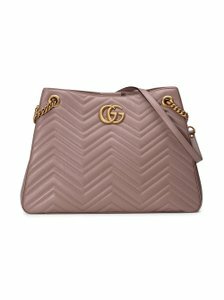 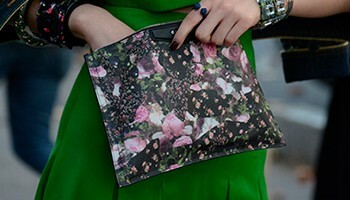 The chain shoulder strap has a leather shoulder detail. 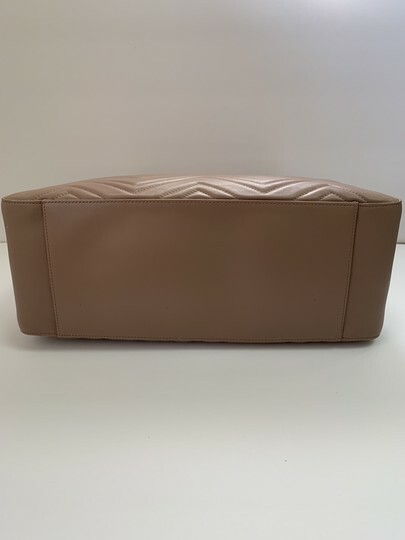 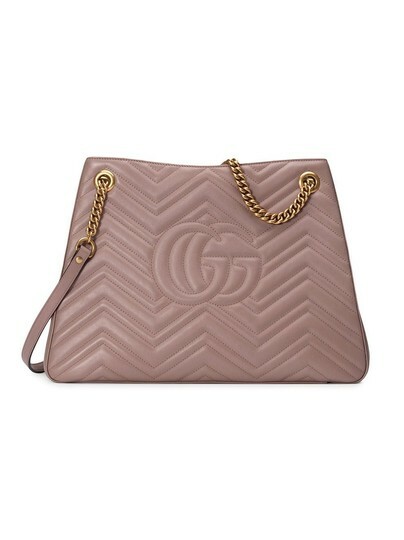 Made in matelasse leather with a chevron design and GG on the back. 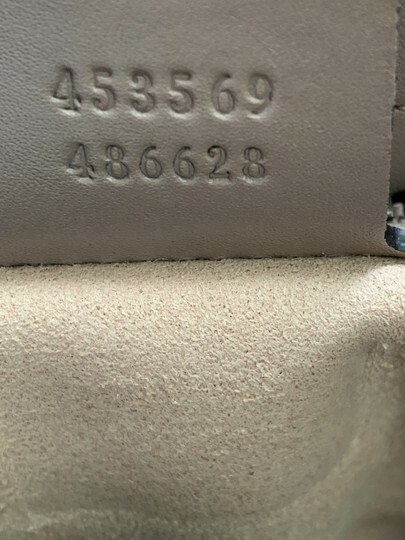 Retails at $2,450 + tax.